1. Iona, St. Oran's Cross, detail on shaft. Detail on shaft. 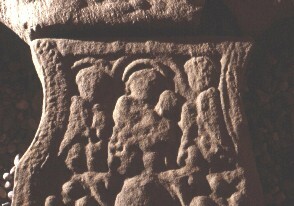 Virgin and child between angels. The mother has the child on her knee. She has a halo, but the child does not.